Rose, a lab rat. Although she was born with flames that were white and cold as ice, she got more. When Rose is kidnapped and experimented on, her whole life changed. 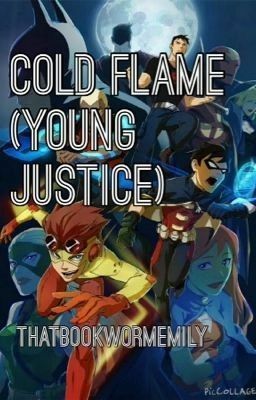 She was given powers from certain members of the Young Justice team. Eventually, luck turns in her favor and she's free. Well... Sorta. A haunting past stalks her, but she doesn't seem to remember. Not only is she trying to find out more about her past, she has to fit in with the team and earn their trust. ~.~ Hope you enjoy, the second book of the Cold Flame series is called The Reaper. Feel free to comment edits! ~.~ WARNING THIS BOOK WAS WRITTEN FOREVER AGO AND NEEDS TO BE EDITED! It's a mess but have fun.